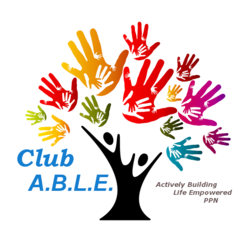 Club-ABLE believes that this service will be one of the most valuable ones for the members. As a physically disabled person most of her life, Club-ABLE Founder Dina Reh has had to daily cope with a broken healthcare delivery system and a confusing array of assistive services. The Empowerment Officer advocates for the member on a hands-on basis. Currently we are seeking funding by grants for this position, with the sustainability provided through future membership fees making this a self funding reality in years to come.